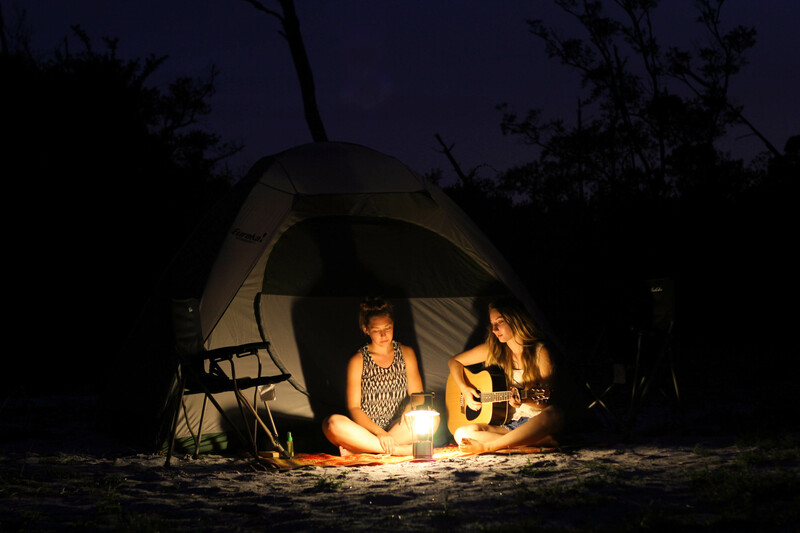 For one of our evenings in Pensacola, the weather was calm enough for us to sit outside our tent & work on a little more music. The recording here is from our iPhones, so forgive the quality – but see if you can hear the contributions from our neighboring cricket & bullfrog friends. And aren’t they such fitting lyrics? Thanks, Willie (: Such a peaceful close to the night. Adios, Florida – we’re hittin the road again! You two are amazing! Praying for you on the road again. What an adventure. Love your version of this song.